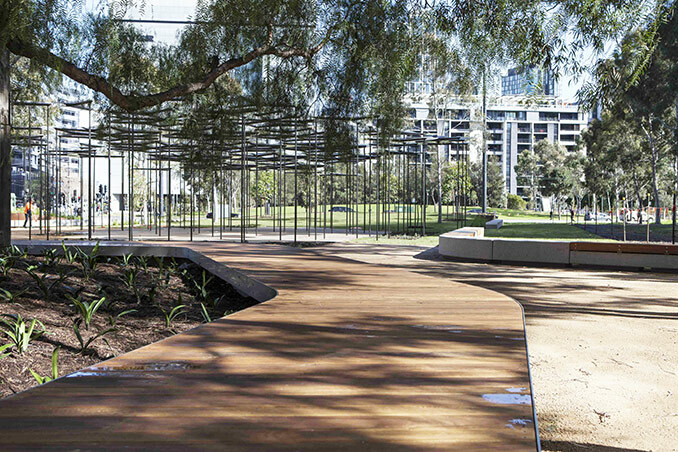 The relocation of the 2015 MPavilion triggered the funding and implementation of Stage 1 of the CLEC Masterplan (the eastern portion of Docklands Park). 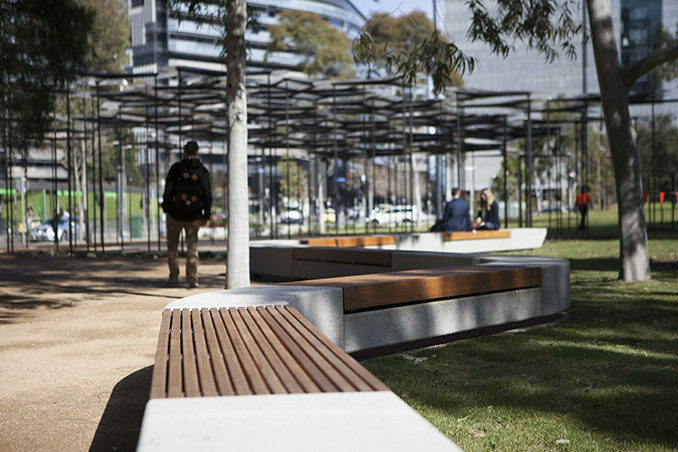 MALA recently developed the masterplan for Places Victoria to transform the dilapidated eastern portion of Docklands Park into a thriving new recreational and cultural hub. 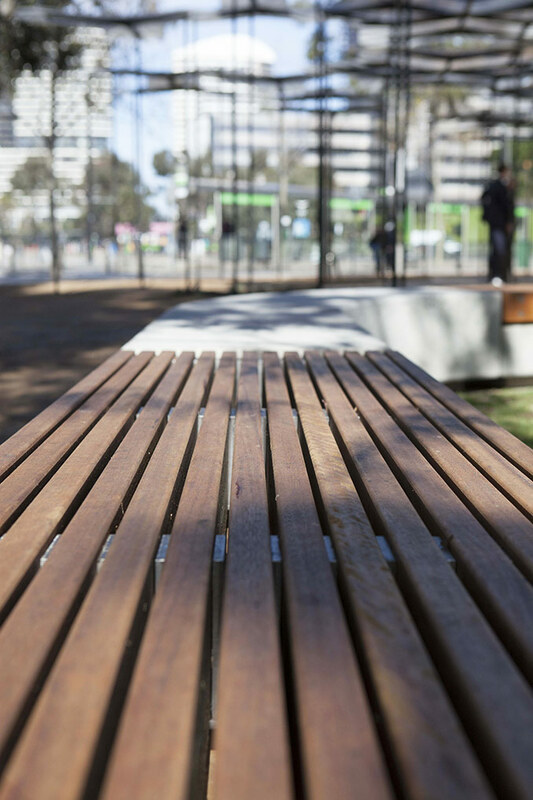 The masterplan seeks to link community buildings, multi-purpose courts, public art, existing parklands and the new MPavilion precinct with a series of recreational and garden spaces. 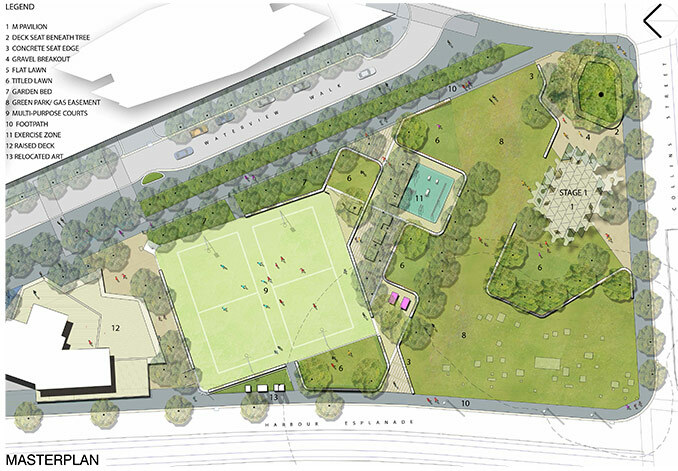 The masterplan proposes a new sport fitness park, outdoor exercise equipment, ping pong tables, multipurpose spaces for yoga, dance, aerobics and personal training classes, hard and soft pedestrian paths, and quite garden nooks. 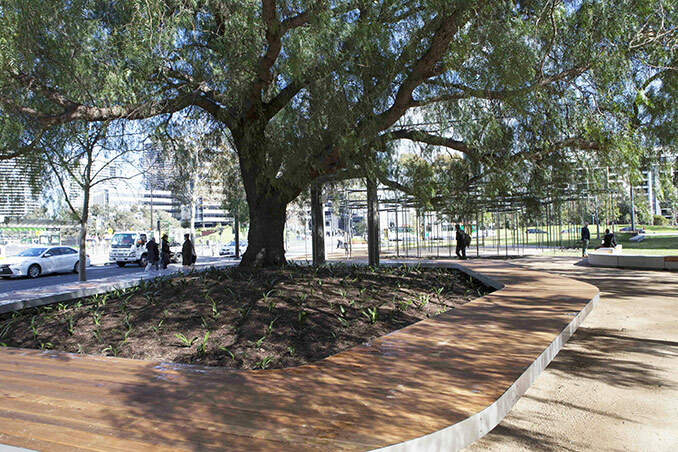 Stage 1 was really about celebrating the MPavilion and enhancing its parkland setting. 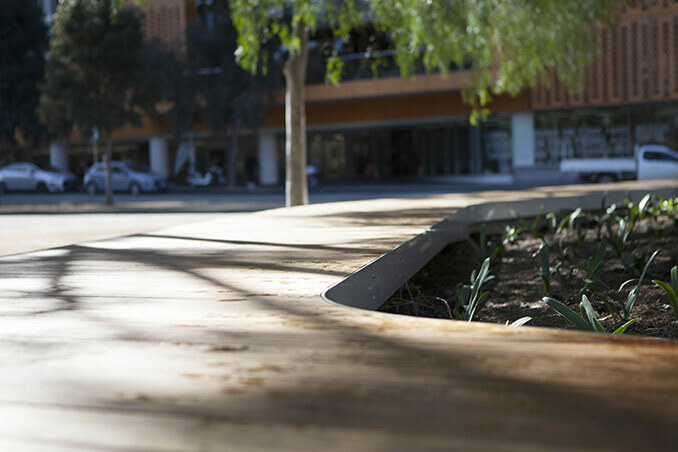 We wanted to provide a beautiful landscape for the pavilion that allowed people to not only interact with the architecture but with the surrounding park as well. The MPavilion is such a dynamic piece of architecture it was important the landscape did not try to compete with it. 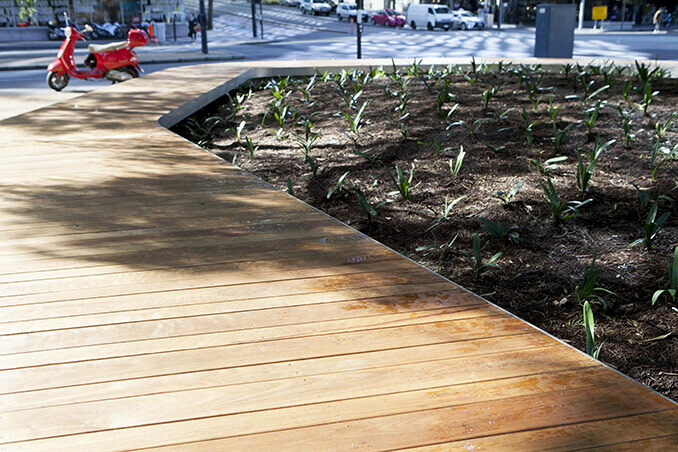 One of our initial concerns was the Mpavilion being set against the backdrop of Harbour Esplanade. 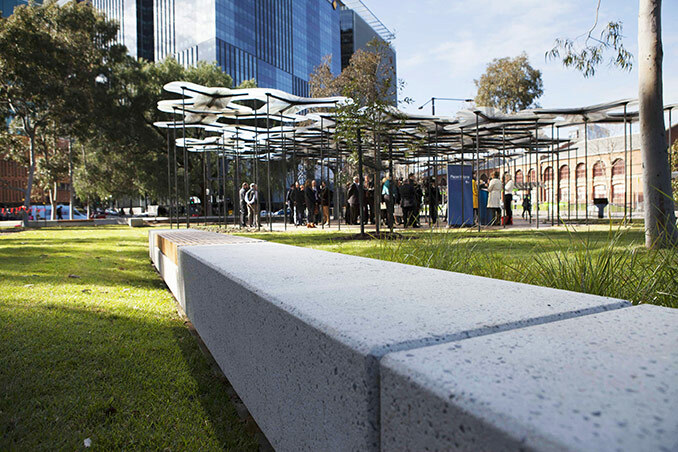 The key design move was to create a tilted lawn and a modern Ha-ha wall behind the MPavilion. The Ha-ha wall is an ancient design device used to create clear and seamless view lines within the landscape. In this instance we have used it to create a green background for the pavilion and provide an interrupted view to the western portion of the Docklands Park behind. The tilted lawn also creates a natural amphitheatre to the MPavilion and provides a lovely space to sit or lounge under the dappled shade of the existing eucalypts. 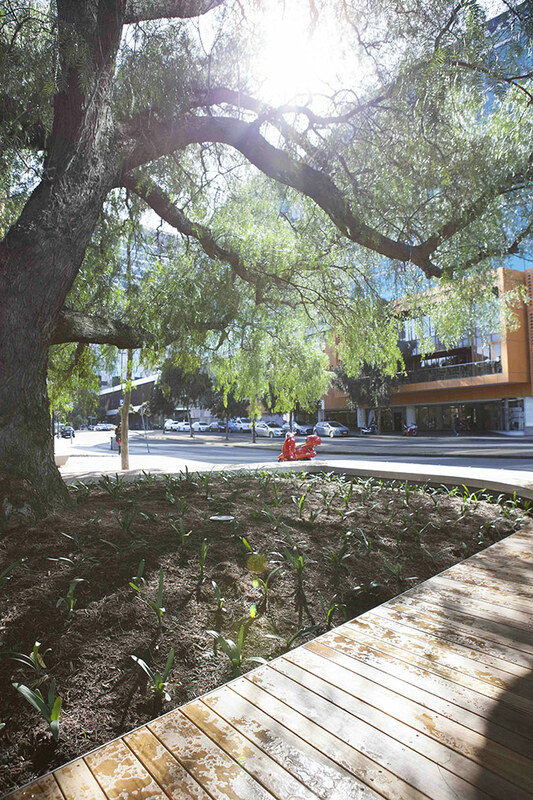 Another key feature of the landscape is the new circular deck seat beneath the large peppercorn tree. The peppercorn is over 100 years and was the single biggest asset in an otherwise dilapidated site. 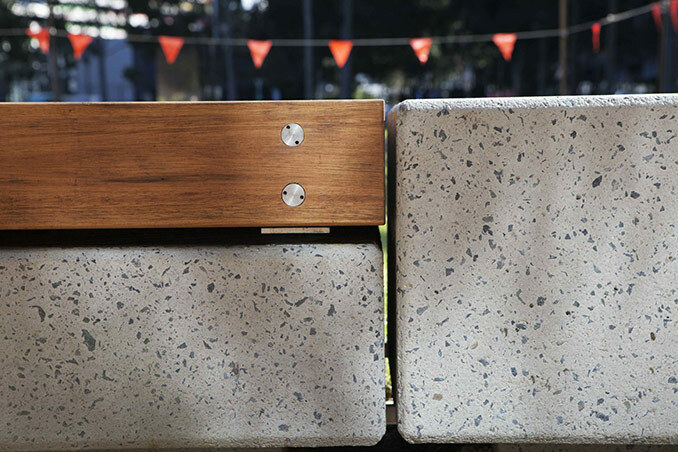 We worked closely with Arborist Steve Fitzgerald to carefully design the seat which now provides a protected place to meet, gather, sit, eat and read. 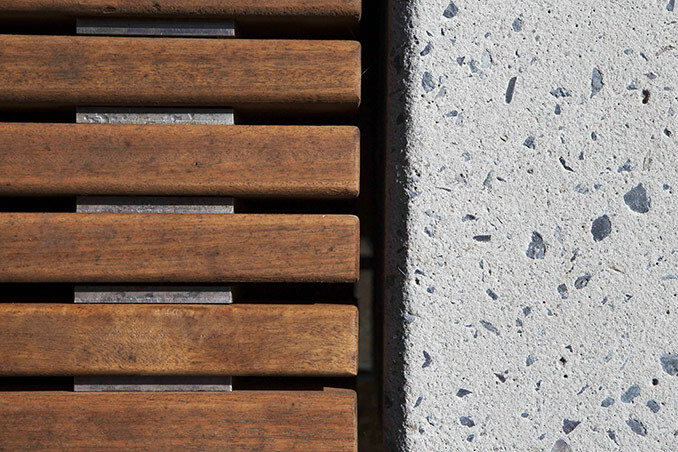 Located on the prominent Collins Street corner the new deck seat and concrete ribbon seat wall creates a formal entry into the site. MALA studio is thrilled to have been involved in this project. 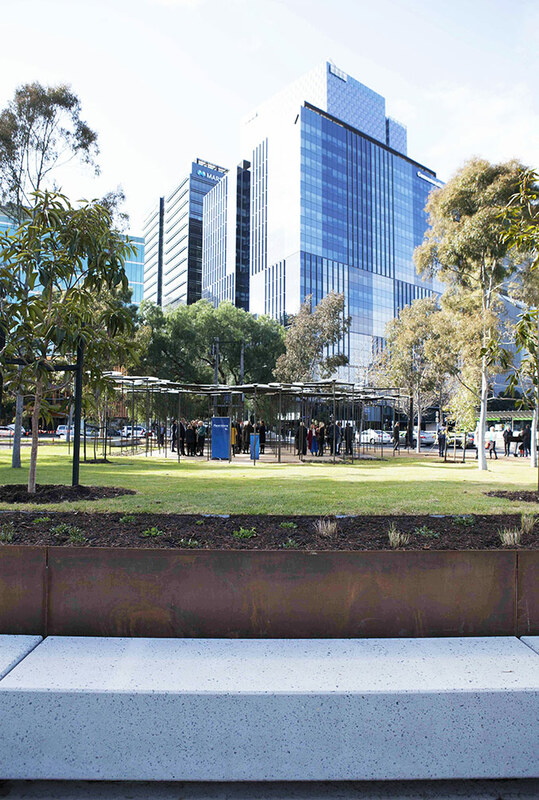 The site is one of the last pieces of public open space in the Docklands and we welcome Places Victoria, the City of Melbourne and the Naomi Mailgrams Foundation’s vision to provide a space of cultural and recreational significance.